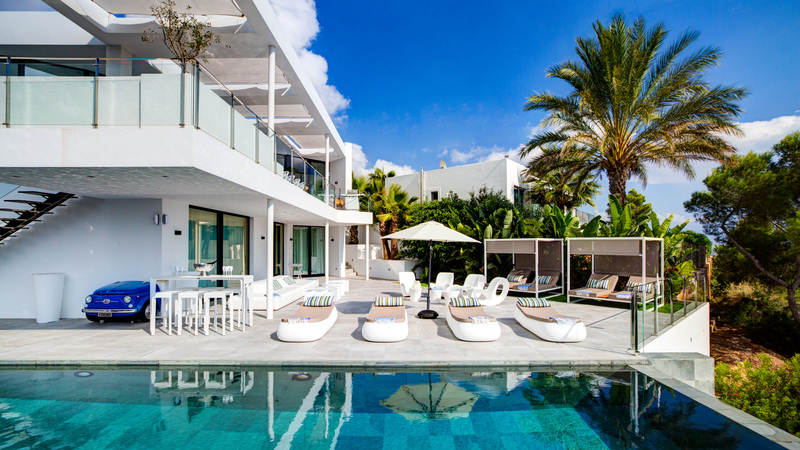 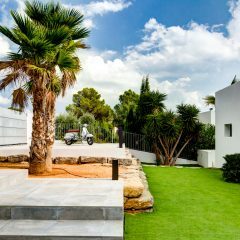 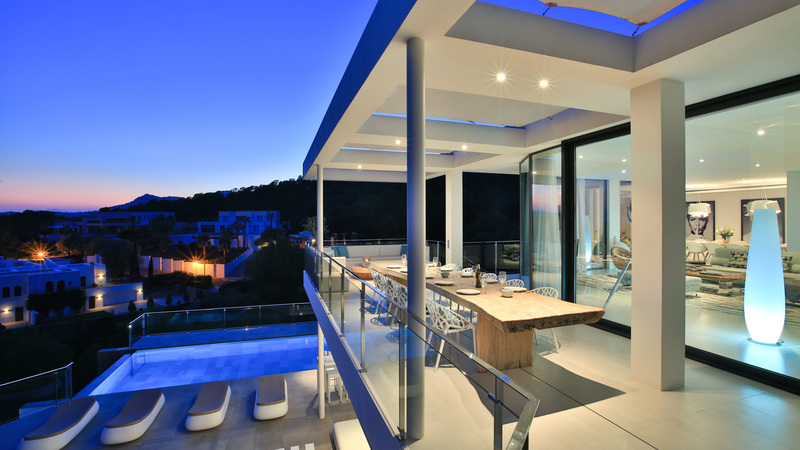 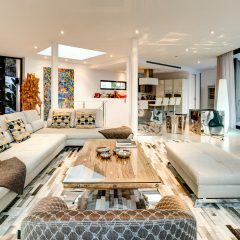 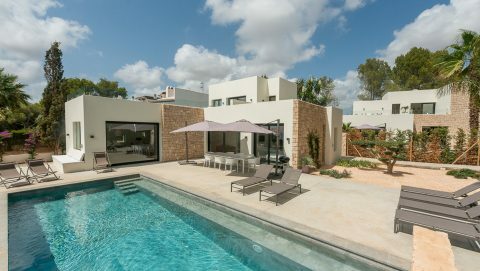 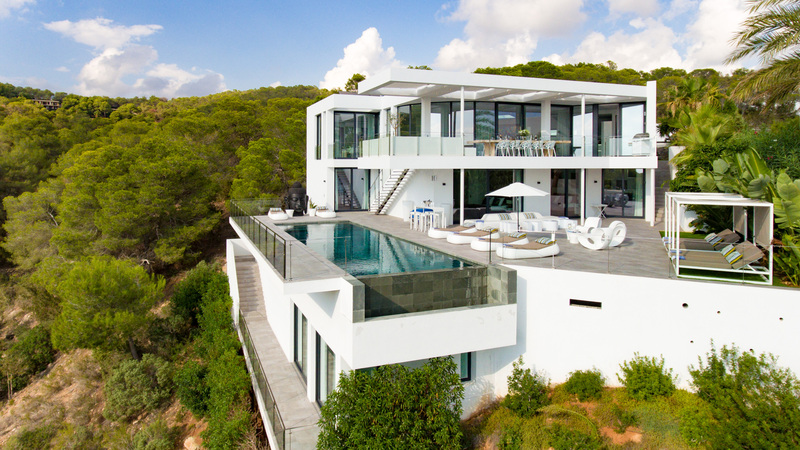 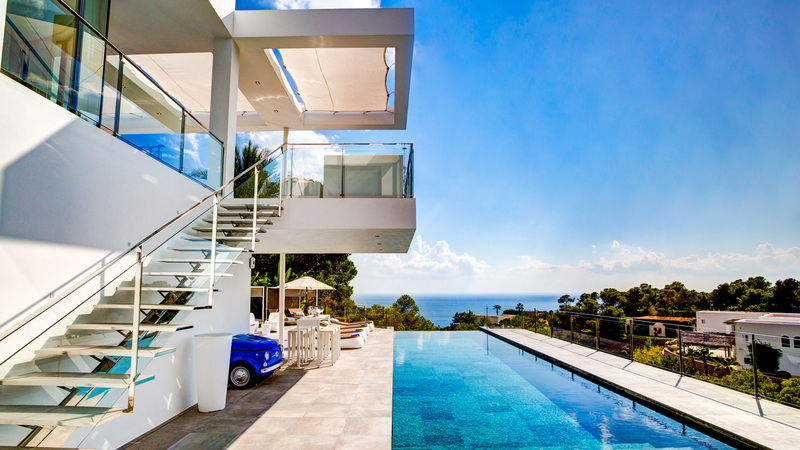 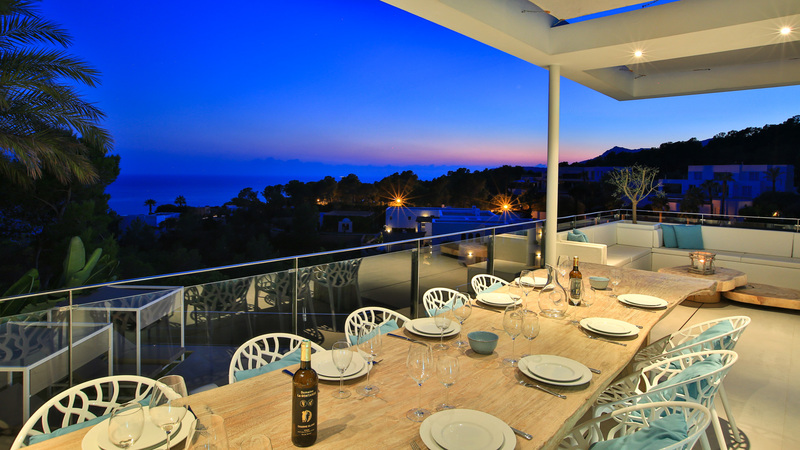 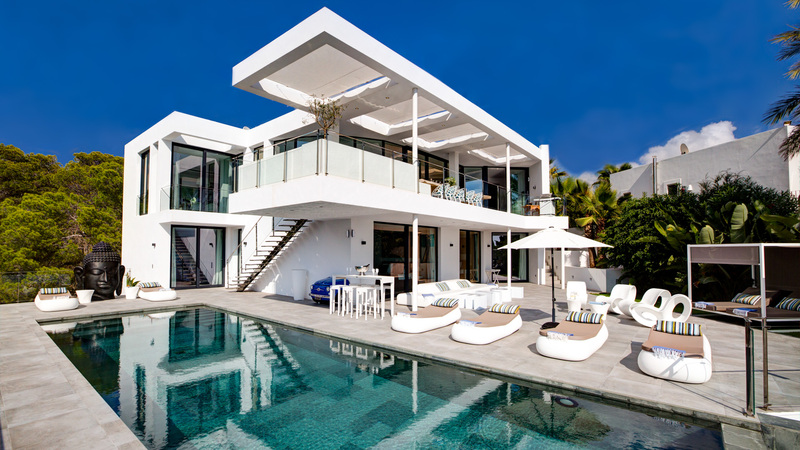 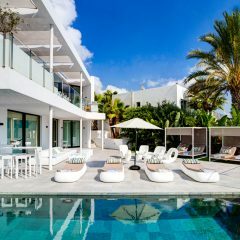 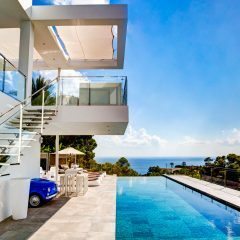 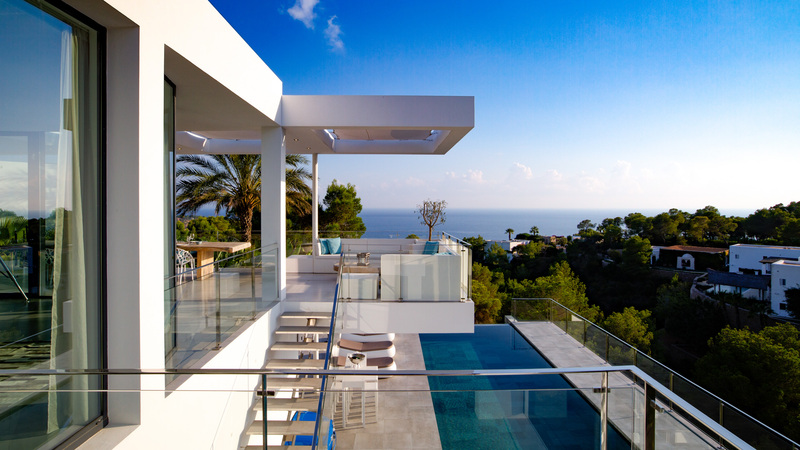 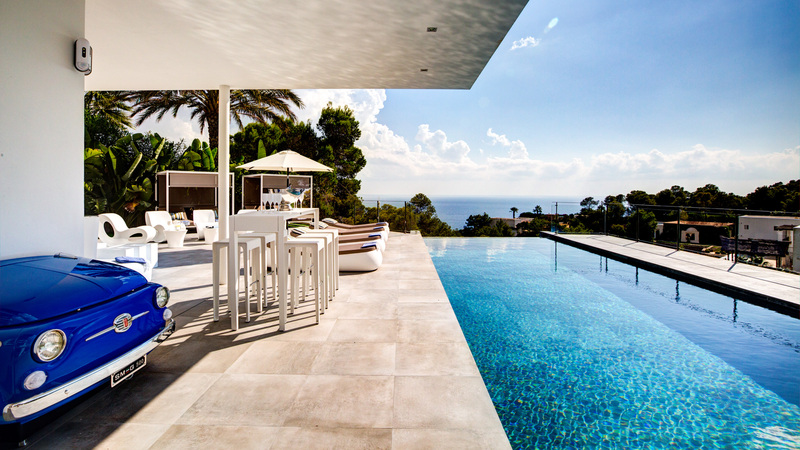 The breathtaking Villa Magic Blue, located in Es Cubells, is one of the most tasteful properties in Ibiza with space for up to ten people. 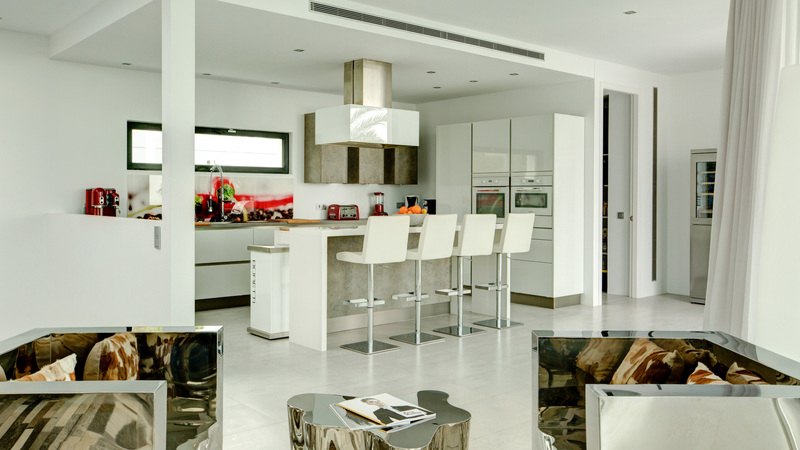 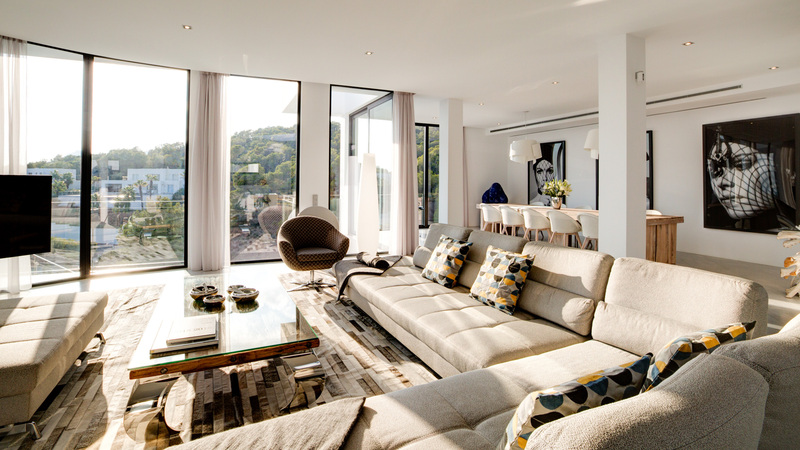 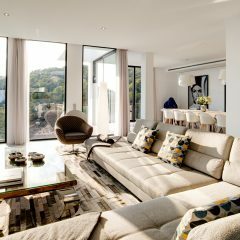 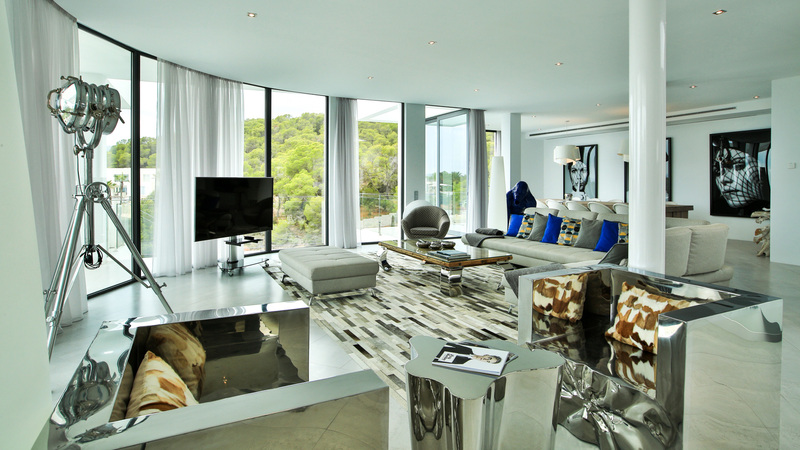 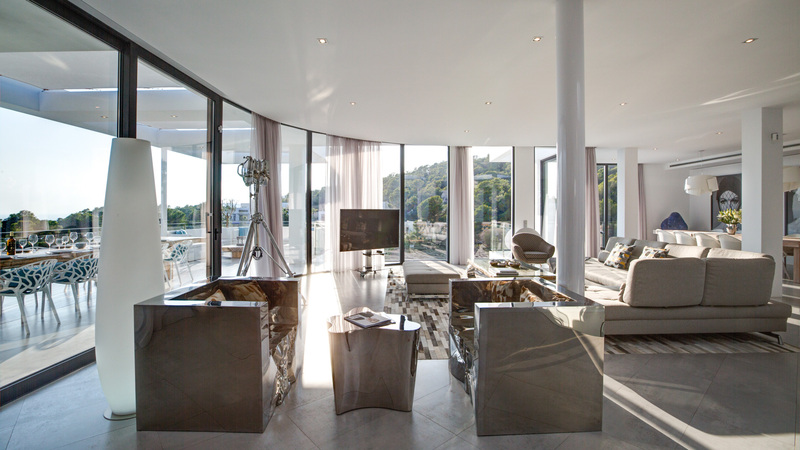 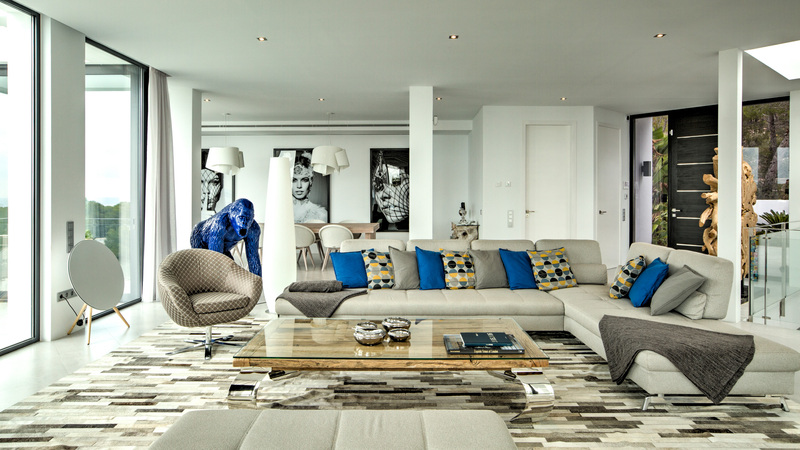 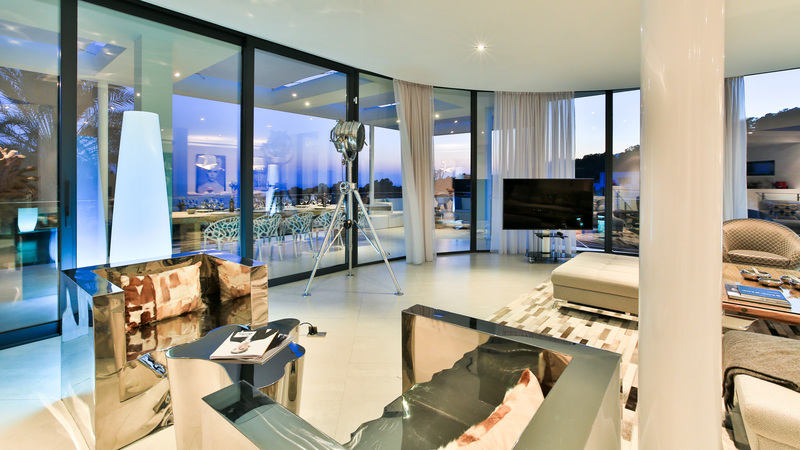 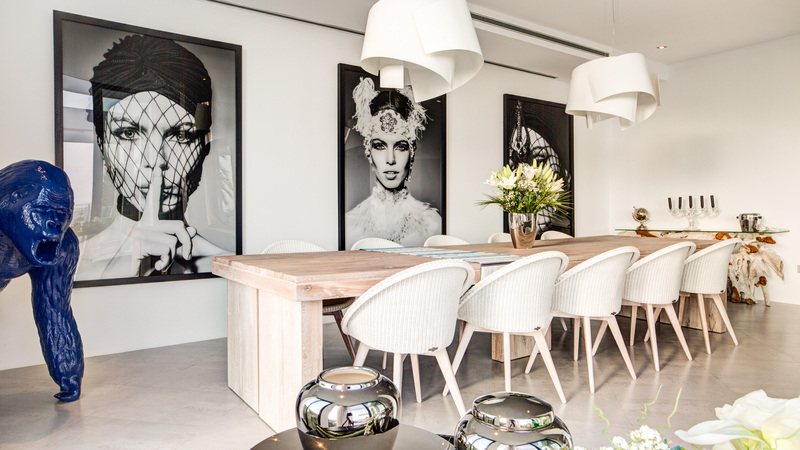 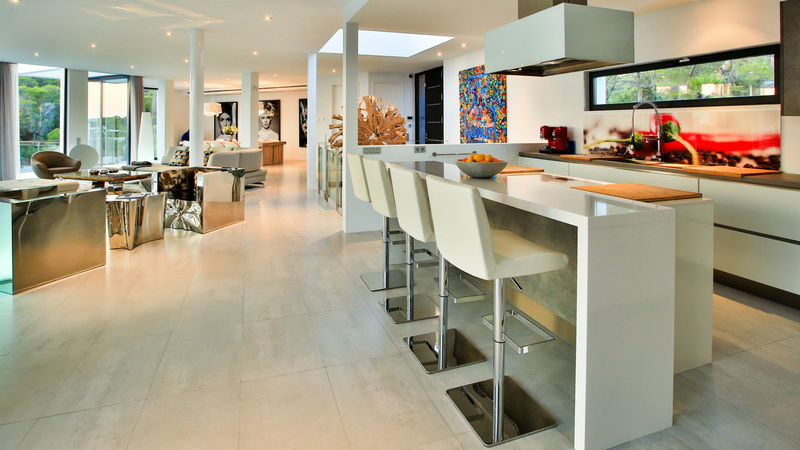 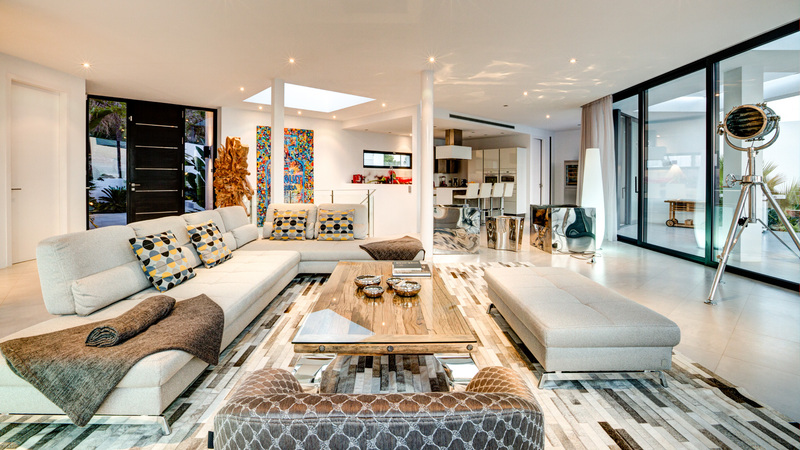 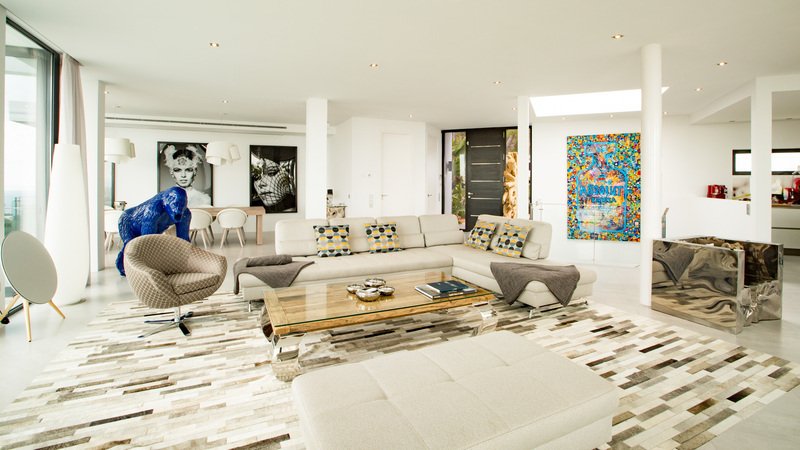 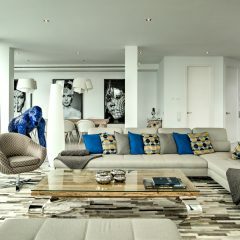 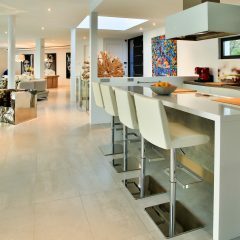 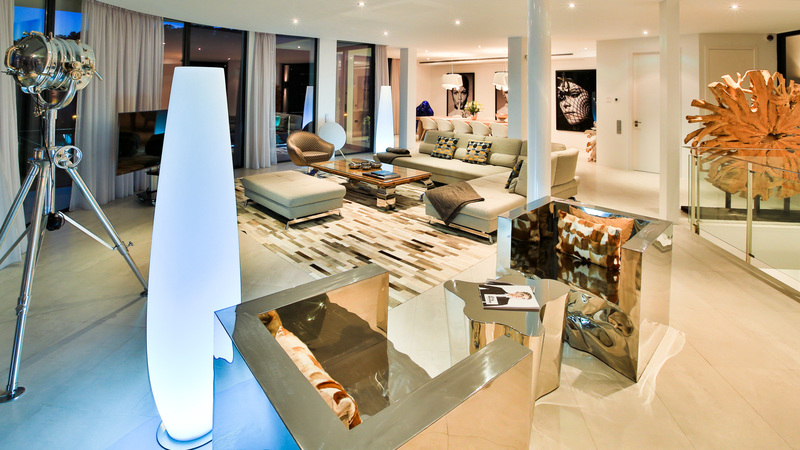 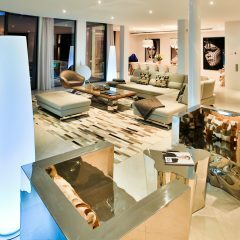 Decorated by top designers, the house and its interior is an absolute highlight for the fan of grand interior design. 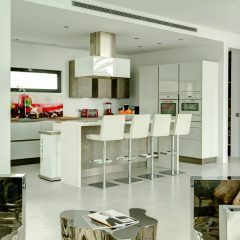 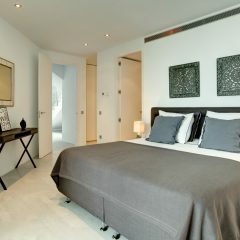 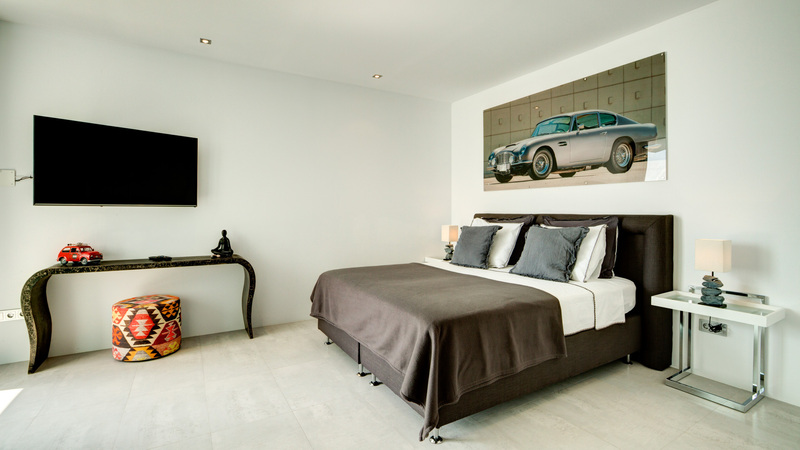 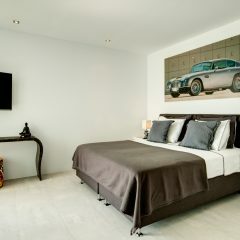 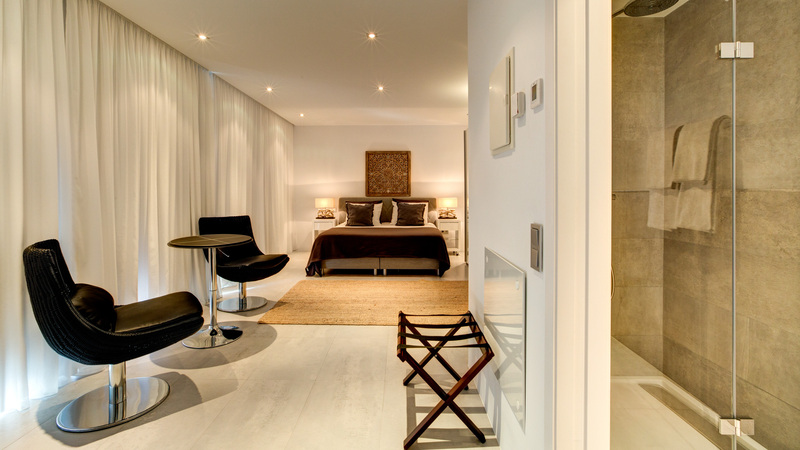 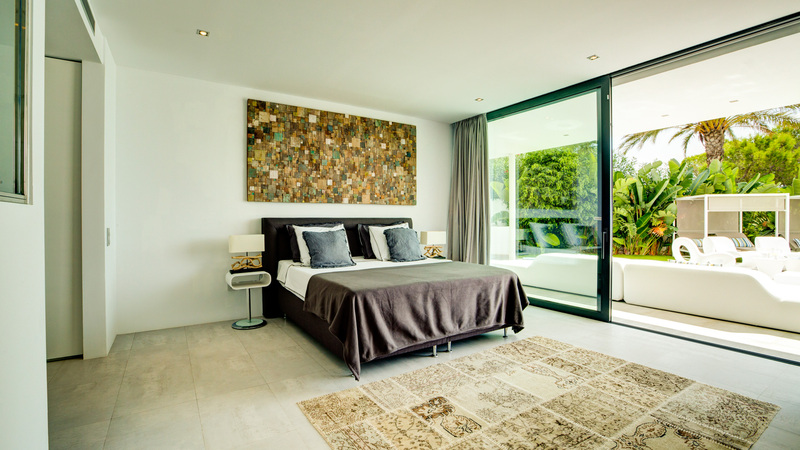 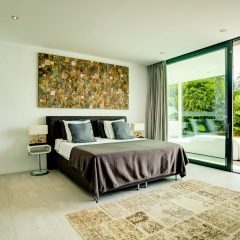 Loving details, light-flooded rooms and exciting artworks create an ambience in which you can feel absolutely at ease. 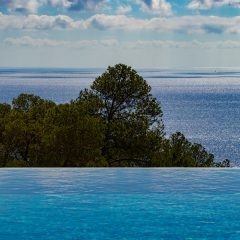 The large outdoor dining area with a huge dining table for up to fourteen people, the wonderful lounge area and the extraordinary infinity pool with a beautiful view over the bay of Es Cubells offer the perfect setting to relax. 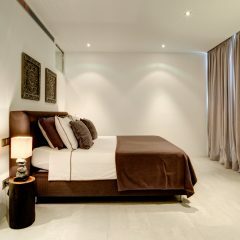 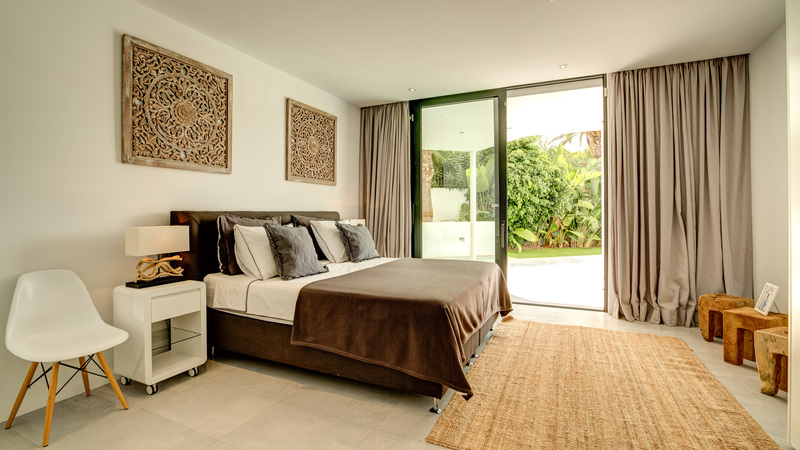 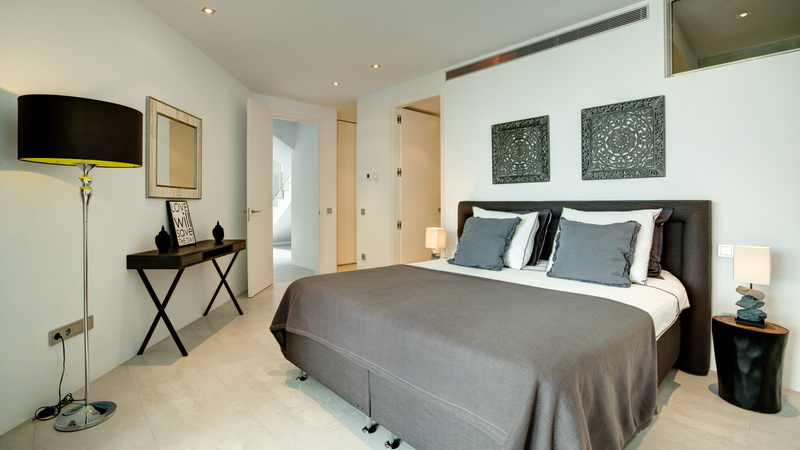 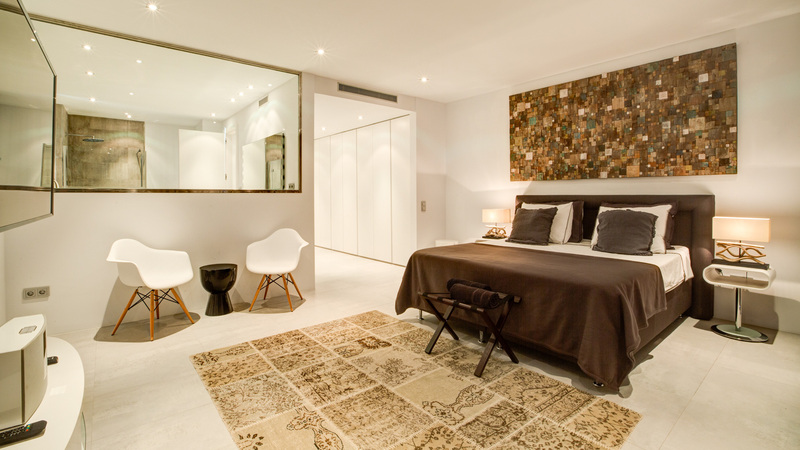 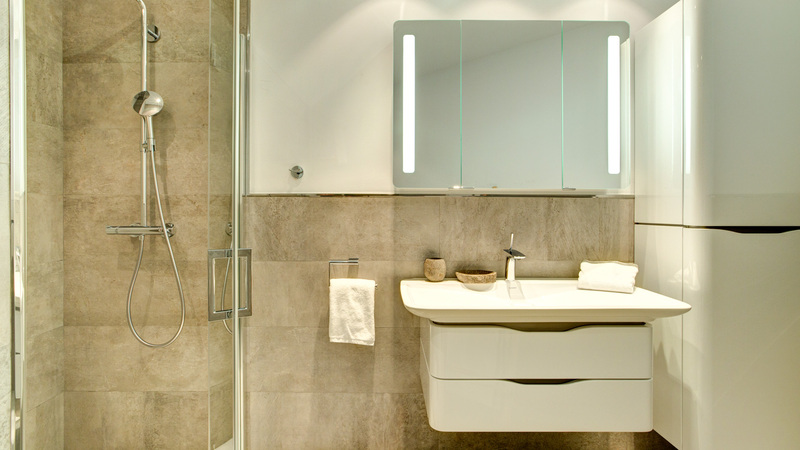 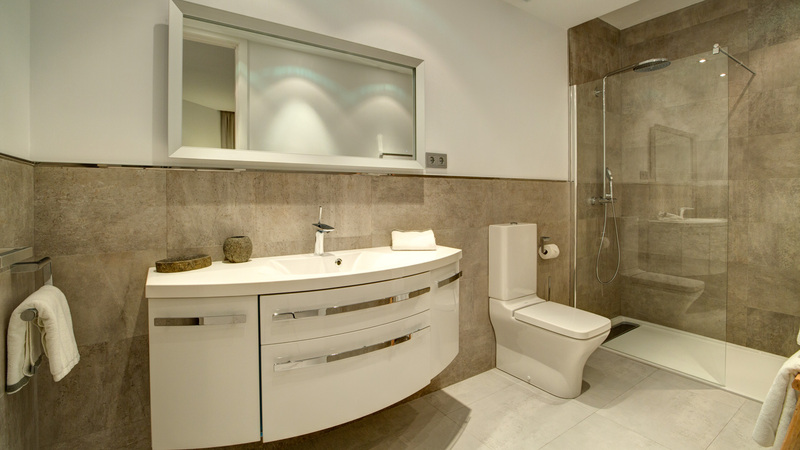 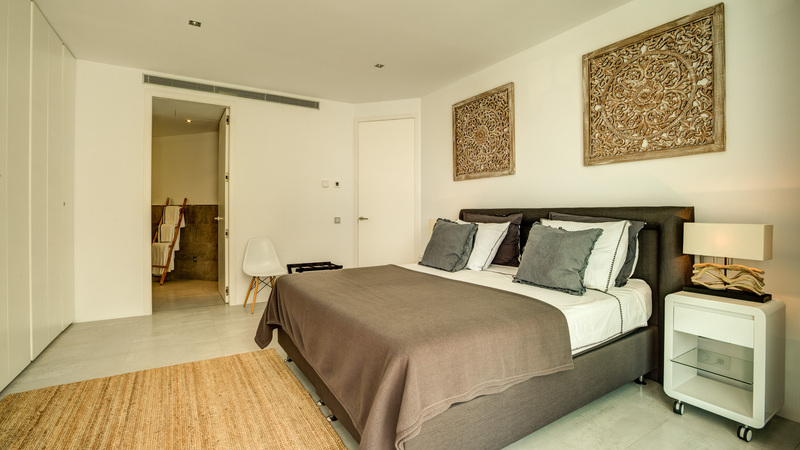 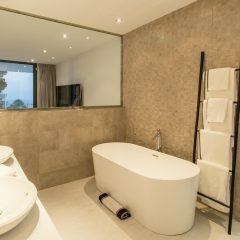 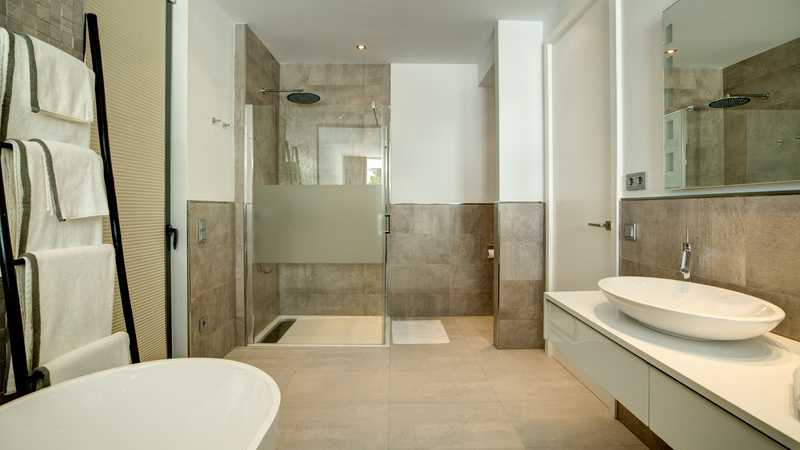 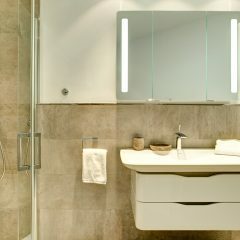 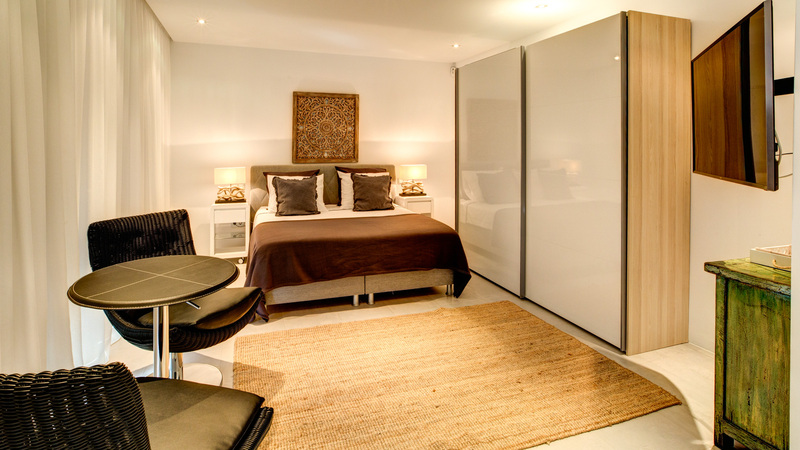 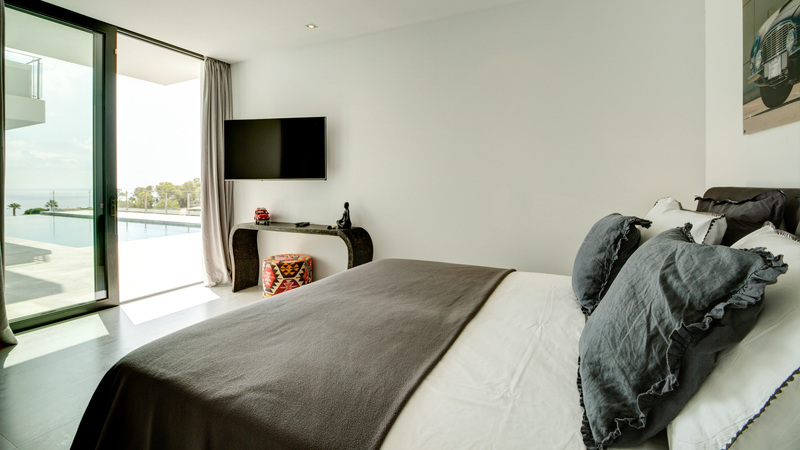 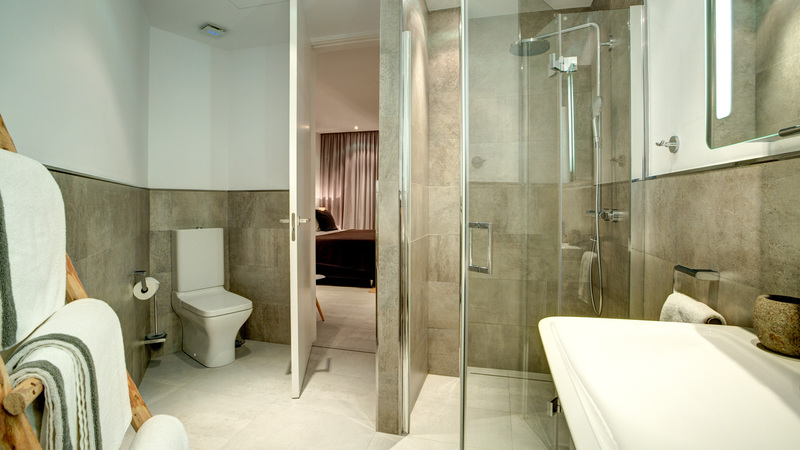 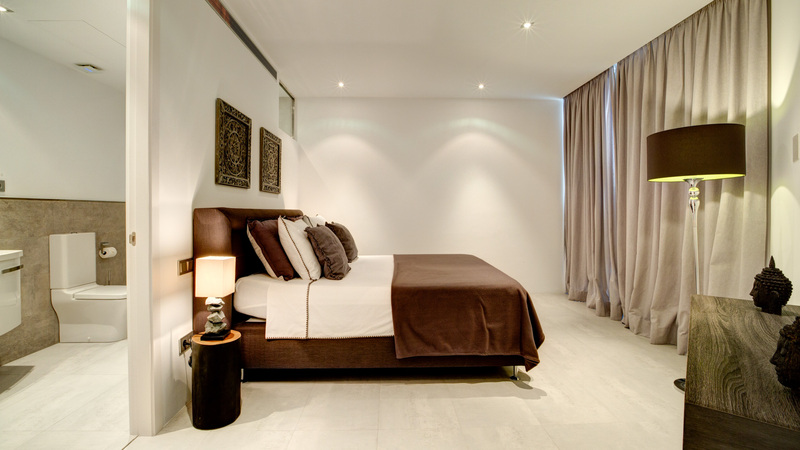 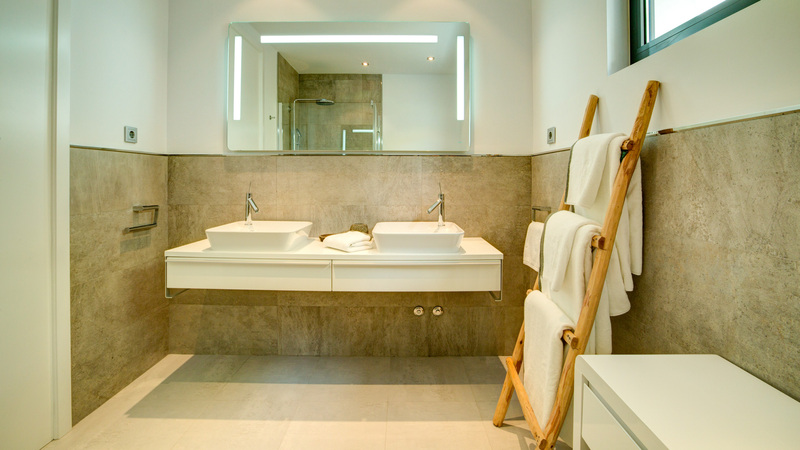 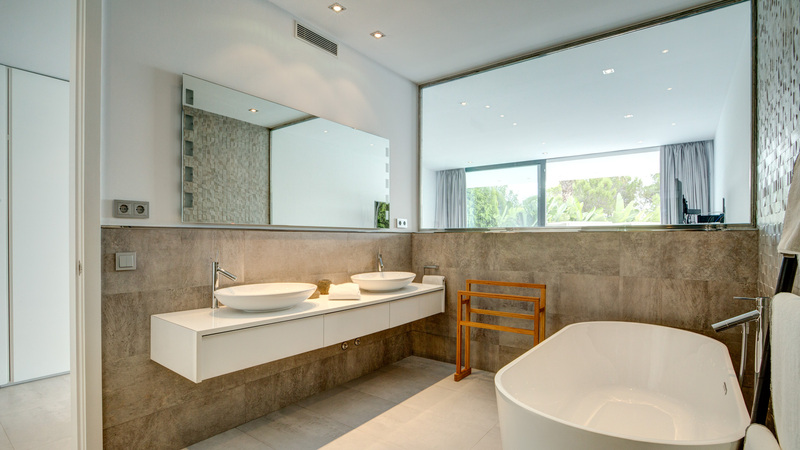 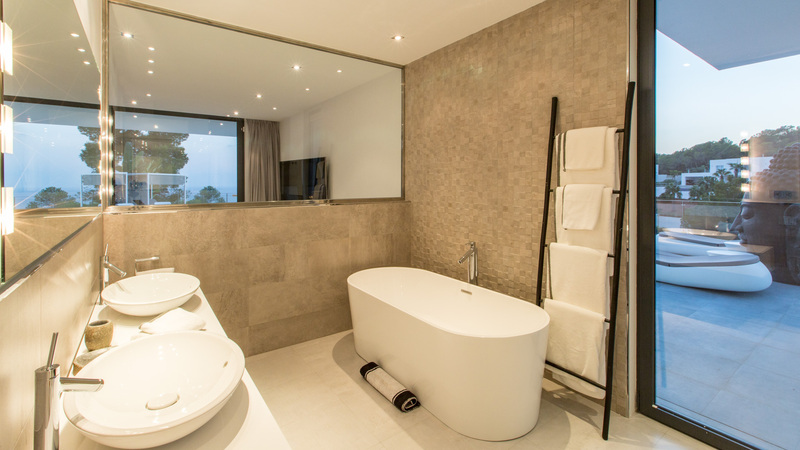 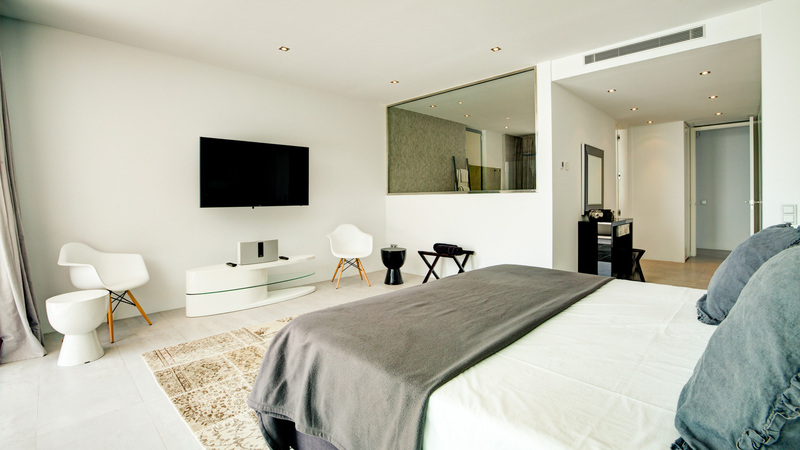 All bedrooms have en suite bathrooms and are excellently furnished. 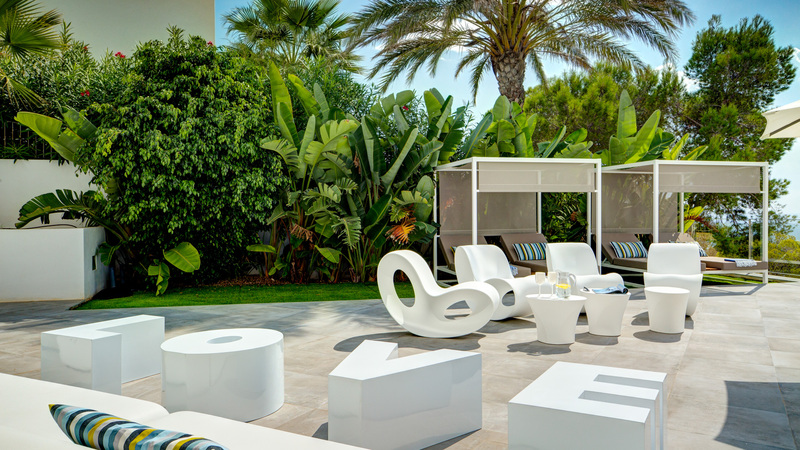 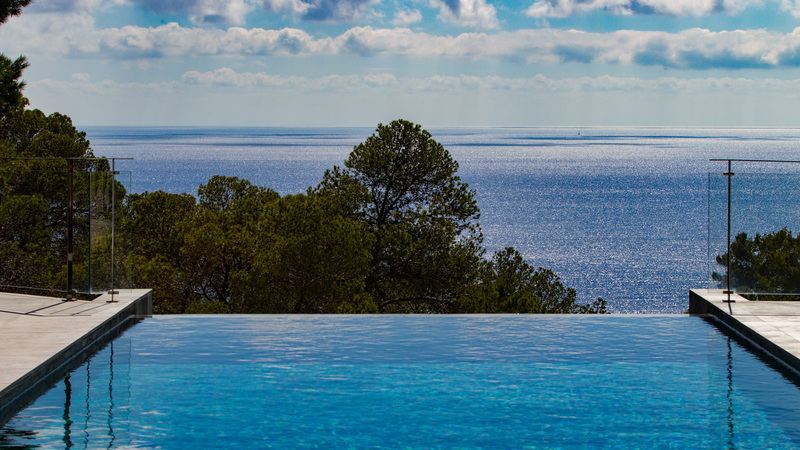 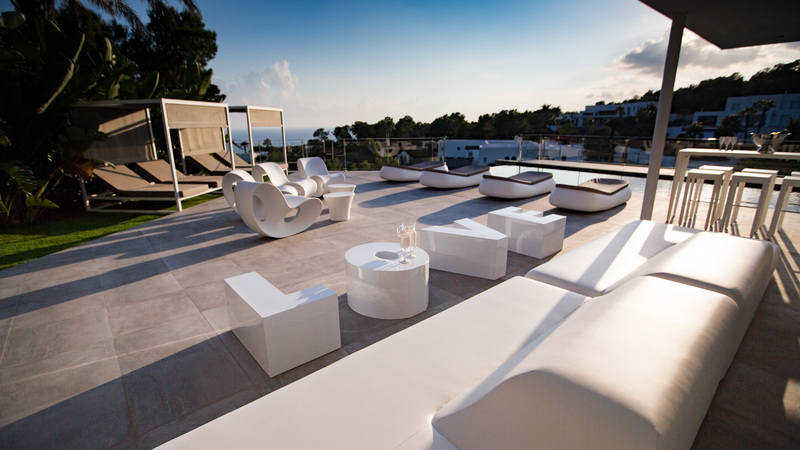 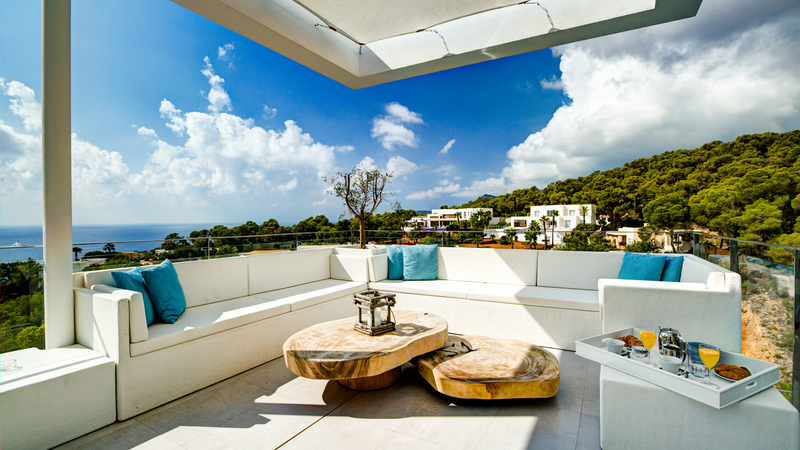 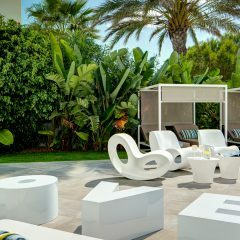 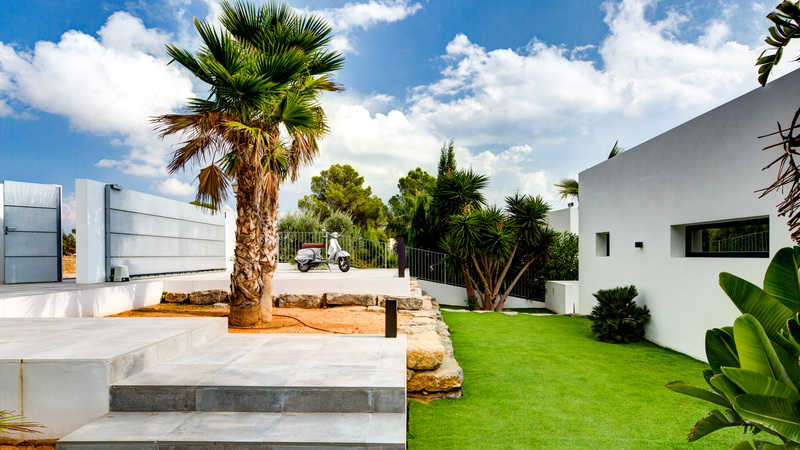 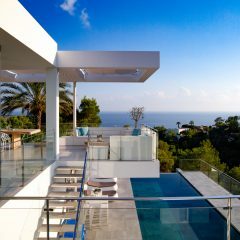 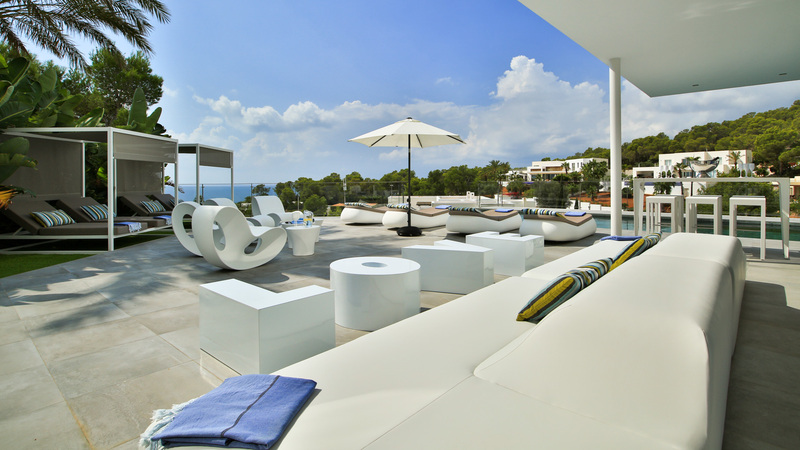 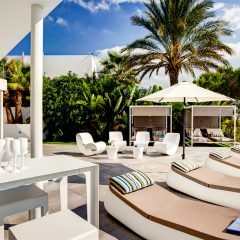 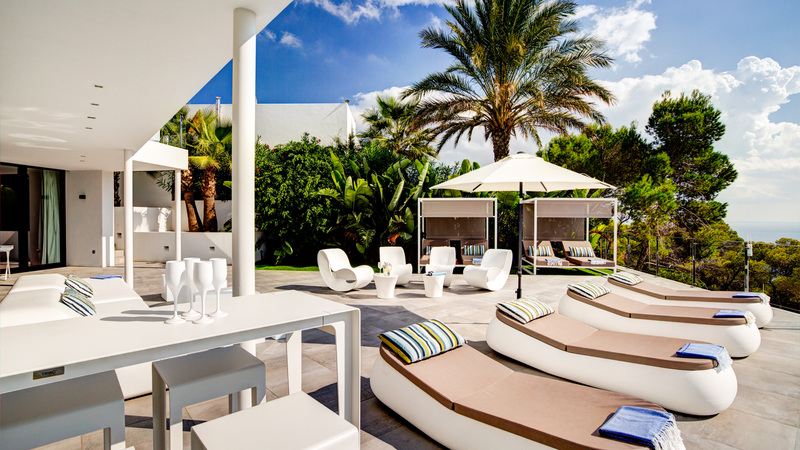 The entire outdoor area is almost surreal stunning in the sunshine of Ibiza. 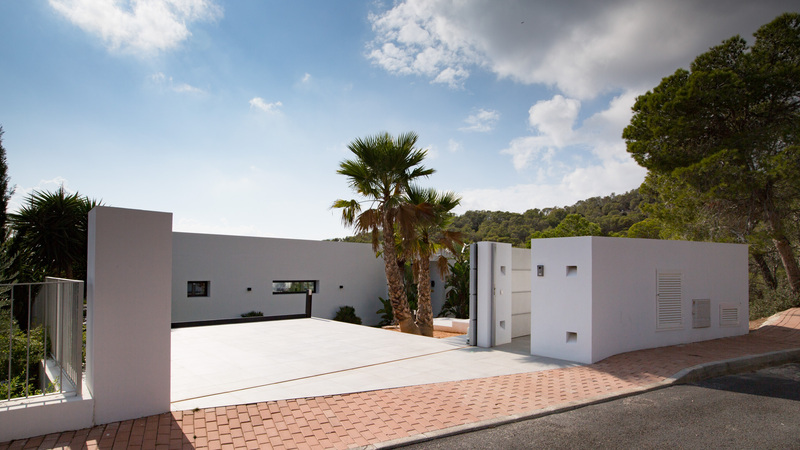 This house with its beautiful location offers you pleasant peace and privacy. 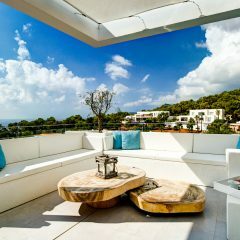 Nevertheless, you can reach the main points of the island all in less than 20 minutes. 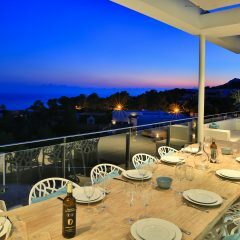 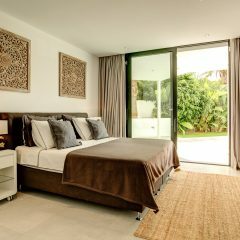 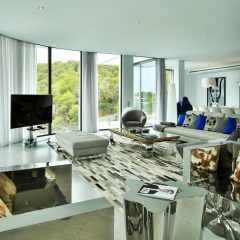 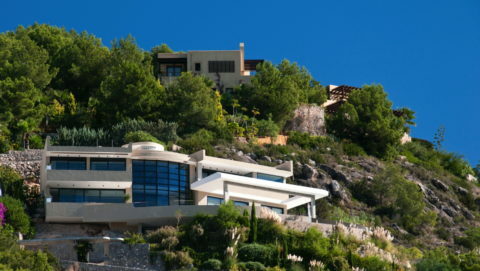 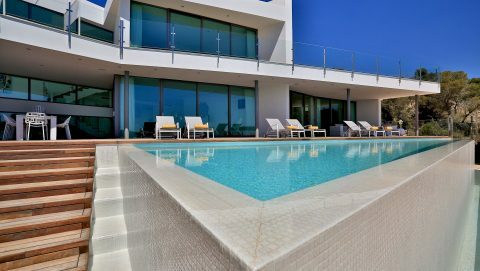 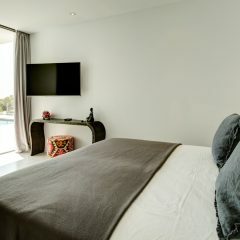 Do not miss the opportunity to spend your stay in this upscale property and enjoy all the benefits of Villa Magic Blue.